St. Patrick's Day is fun for the whole family in Detroit! If you want to spend the day with your kids instead of hitting the bars, take them to the annual St. Patrick's Day Parade. The parade runs through Corktown, Detroits oldest neighborhood. 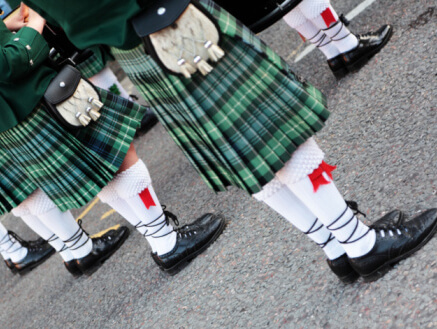 Show your Irish pride as you cheer on your fellow Detroiters marching by. When the parade is over, stop in for lunch or a quick drink at one of the several restaurants located along and nearby the parade route. When the luck of the Irish strikes, you don't want to be partying by yourself! Instead, enjoy all of the fantastic festivities happening around the Detroit area in a deluxe party bus or limousine. This vehicles were made with a great time in mind, so you'll never have to worry about if your guests are having a good time or not. It's always a great time with a luxury mode of transportation! Renting a limousine or party bus is always a great idea when drinking is involved. Looking for a designated driver is embarrassing, and getting a DUI is even worse! When you have a professional chauffeur, you won't have to worry about these things happening. All you have to worry about is getting all your best friends on the bus!